I’m a mother of 2 – Alfie and Eliza and before starting a family I was a nanny in Canada for 6 years and in London for 1 year. I have always had an interest in working with children and music, and having trained in dance from a young age have always been keen to find a job where I could combine all three. Having been a stay-at-home mum for 10 years I was keen to find work I could develop around my children that was FUN but not necessarily competitive! 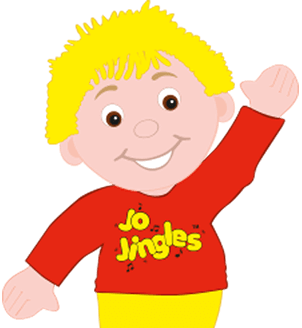 When I saw an advert for Jo Jingles franchisees I knew I’d hit on the right 'note'. 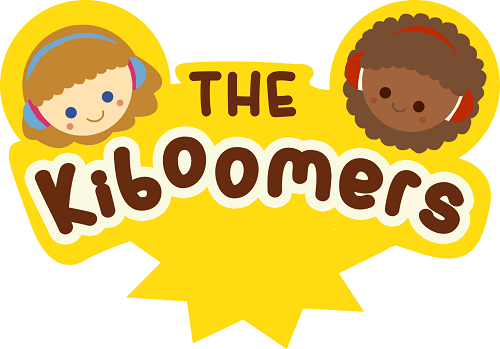 Having now been running my Jo Jingles franchise for ten years I’m thrilled I took the plunge and joined the company. I thoroughly enjoy running my classes which are available in Blackpool, Preston and Lythan St Annes. I also run sessions in local nurseries. Every class is different and the focus is always on having musical fun! I just want to let you know how fabulous Joanne from Blackpool is. My daughter has been going to her class for two years and is having to stop now because of starting school. Jo is absolutely brilliant she puts so much enthusiasm and love and fun into each and every class. All the kids love her. My daughter is heartbroken that she can’t go anymore and I’m pretty upset myself I’m going to miss my Thursday morning workouts/singalongs. 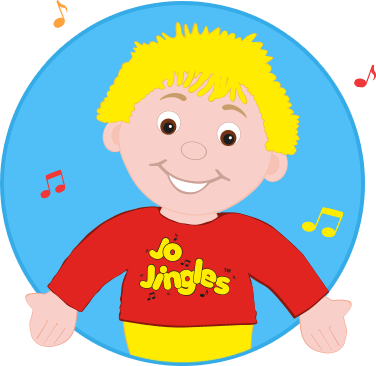 Jo is such a credit to Jo Jingles. I don’t know if you have an employee recognition scheme but if you do she should definitely be your star of the year. We have definitely had an amazing two years at her classes and made a lot of very happy memories. I am a parent who has taken my daughter to Jo Jingles classes since she was 6 months old and she is now 2 and half. I am a parent who has taken my daughter to Jo Jingles classes since she was 6 months old and she is now 2 and half. We have been to sessions at Children's Centres, Madhatter, Rascals and currently Mini Magees. She loves going every week and gets very excited when I tell her where we are going. It has brought her speech and confidence on so well. From the variety of songs Jo does each term my daughter has become sociable and loves singing. I want to thank Jo and the wonderful job she does with all the children. She is has a lovely character and nature. My daughter and I came along to one of the Jo Jingles sessions at our local play area after it was recommended by a friend. Erin and I hadn't attended any groups such as this before and she was renowned for being a somewhat socially awkward 2 year old. Jo immediately recognised this and approached Erin in such a way that made her smile and join in by the end of just the first session. We have been in attendance every session since and we both really look forward to it. It's an opportunity for us to spend some quality time together whilst enjoying the company of some like minded people and we've both made new friendships from the classes. Jo is an absolute testament to your company, she is always so full of joy, energy and most importantly love. It is clear to me that Jo absolutely loves what she does and it really does shine through as she hosts the classes. I'm so proud of how far Erin has come and I know I have Jo's kind hearted nature, attentiveness and fun approach to thank as a contributing factor to Erin's newly found confidence. 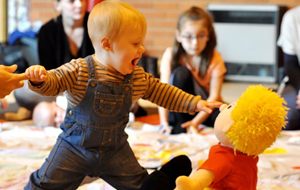 Erin even sits the entire family down at home and mimics Jo as she hosts a mini Jo Jingles in our living room! My one regret is that I didn't attend these classes with our eldest daughter before she started school. Keep up the good work, you have two very happy campers in my daughter and I.
I had to write to let you know how fantastic Jo Jingles is especially Jo. Hello my name is Margaret, I am the manager of a small Pre-school in Blackpool. Jo, who takes the sessions is brilliant with the children and can get them all to join in and have fun. I have suggested to my daughter that she takes her daughter when she is old enough. My daughter Olivia and I have been attending jo jingles for the last three terms and thoroughly enjoy the classes Joanne leads. My daughter Olivia and I have been attending jo jingles for the last three terms and thoroughly enjoy the classes Joanne leads. 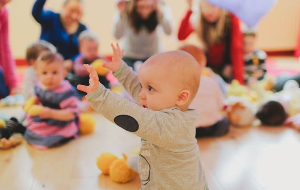 I initially chose the classes to help build Olivia's confidence but if I am entirely truthful I approached the class with some trepidation due to the participative nature of the classes from a parents perspective. Clapping, laughing, singing and dancing in the comfort of your own home is one thing... in a church hall with x amount of strangers quite another! I should not have worried Joanne has an innate ability to read the mood of people both adults and children alike and put them at their ease. Olivia and her friend Beth who I started taking after one term have indeed grown in confidence and blossomed, it is the highlight of their week. One thing I had not bargained for was how much I would enjoy it too. We all leave with a bounce in our step and ready to face the day. Bravo and Thank you to Joanne who is always bursting with energy, positivity and fun but with the sensitivity to gauge the mood of those attending and pitching it just right, a winning combination! I feel I have to write to tell you about how Jo Jingles has made an impact on my daughter Evie's world! I feel I have to write to tell you about how Jo Jingles has made an impact on my daughter Evie's world! 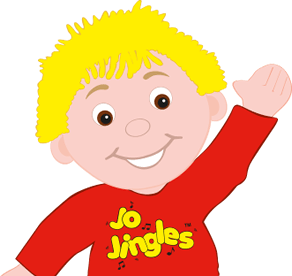 Not just Jo Jingles but Jo herself too! I'll tell you a bit about Evie if I may, Evie was born 10 weeks early and around 6 months of age she was diagnosed with Cerebral Palsy. Not only that, she had a severe visual impairment which at that point we were told that she might be blind. We found Jo Jingles on the internet but because of her physical and visual problems I was concerned that Evie would stick out like a sore thumb. I rang Jo. She was so friendly and welcoming and really encouraged us to come along and try it. From the outset Evie loved the sessions and Evie has really astounded us with all her development. Although she still cannot walk, she participates fully in the session. Her vision has also improved greatly. Jo Jingles became a very looked-forward to event and is a special outing each week for her and my Mum. When Mum cannot manage her, Jo will help Evie do the actions. I truly believe that these sessions have undoubtedly improved her rhythm and musicality but most importantly her confidence and being part of a group. Jo is so caring and concerned when we miss a session for one reason or another and is always attentive to Evie's needs (and Mum's!). Evie is now 3 and a half years old. She has been going to Jo Jingles now for 3 years and I know how sad she'll be when she starts school this year. However, her little sister Lily is enjoying it too, so Jo won't be rid of us for another couple of years.